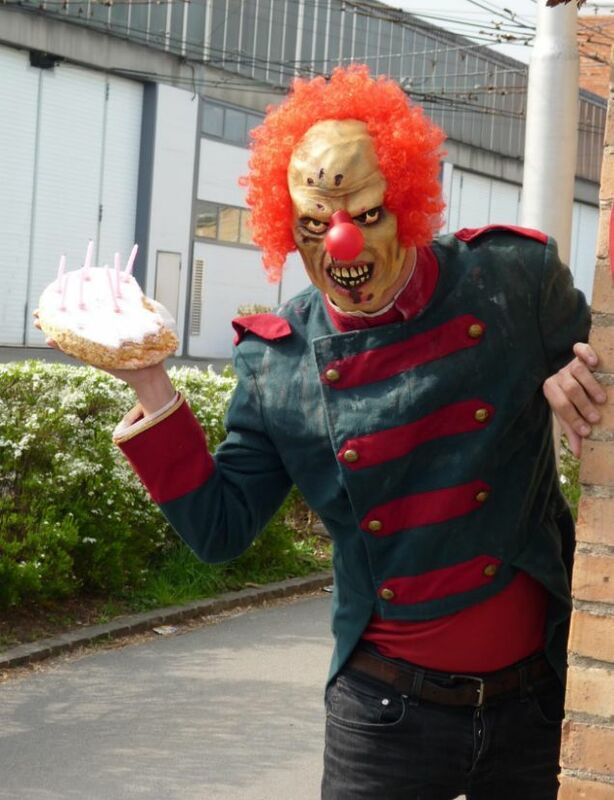 Dominic Deville has found his niche in children entertainment market: evil birthday clowns. Pioneering on Coulrophobia (fear of clowns), Deville’s services include stalking the young victim the week leading up to the child’s birthday and in the end will track them down and smash a cake in their face. Sounds funny right? Well your kid probably won’t think so. Throughout the terrifying week Deville will consistently text, email, and call the young victim with threats of an emanate attack. The good thing is that is if you don’t want to pay for future therapy sessions, that if the child becomes fearful for their life, or parents get concerned, Deville will call of the attack. Based out of Lucerne,Switzerland, Dominic Deville was inspired by horrific clowns, more than likely like Stephen Kings “IT”, or Violator from the Spawn comics, or more disturbingly John Wayne Gacy Jr. but Im hoping not the latter of the three. This entry was posted on May 9, 2012 by David Joseph. It was filed under Strange Reports and was tagged with Coulrophobia, fear of clowns, john wayne gacy.